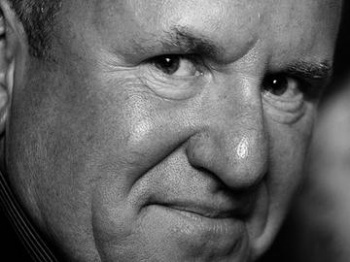 "Nintendo Should Have Their IP on Every Platform"
Eidos life president, Ian Livingstone, on Nintendo and its platform exclusivity. Ian Livingstone, life president of Eidos and co-founder of Games Workshop and the Fighting Fantasy book series, has called for Nintendo to go multi-platform. "Nintendo should have their IP on every platform," said Livingstone, as he opened proceedings at a Bristol Games Hub event. "Otherwise a whole generation of young people will miss out on their games." That could be a stealth dig at the Wii U, which is still struggling to find an audience, or Livingstone could be joining the chorus of devs calling for Nintendo games on smartphones. Particularly iOS devices, which, earlier this year, began to outstrip traditional handhelds in terms of games spending. There's no doubt that Nintendo would make a killing on the app store, particularly given the decline of social gaming in favor of so-called "mid-core" games. That even hilariously broken, obvious knock-offs like this can top the charts proves there's a sizable smartphone audience for Nintendo's product, but the company isn't interested. "This is absolutely not under consideration," said Nintendo CEO, Satoru Iwata, when asked about Smartphone development back in 2011. "If we did this, Nintendo would cease to be Nintendo. Having a hardware development team in-house is a major strength. It's the duty of management to make use of those strengths." Calls for Nintendo to go multi-platform seem to follow every hardware generation, but it's unlikely the company would ever consider it until it's no longer making a profit on console sales. Some are convinced the Wii U may be the magic bullet that finally puts Nintendo's hardware business down. Then again, some were convinced it would be the 3DS, and others thought it would be the Wii.